AGI is looking for any and all geoscience images featuring our internships, research, or geoscience work as a whole. Photos can be entered into three different categories: Outdoor Lab, Indoor Lab, and Data Visualization. 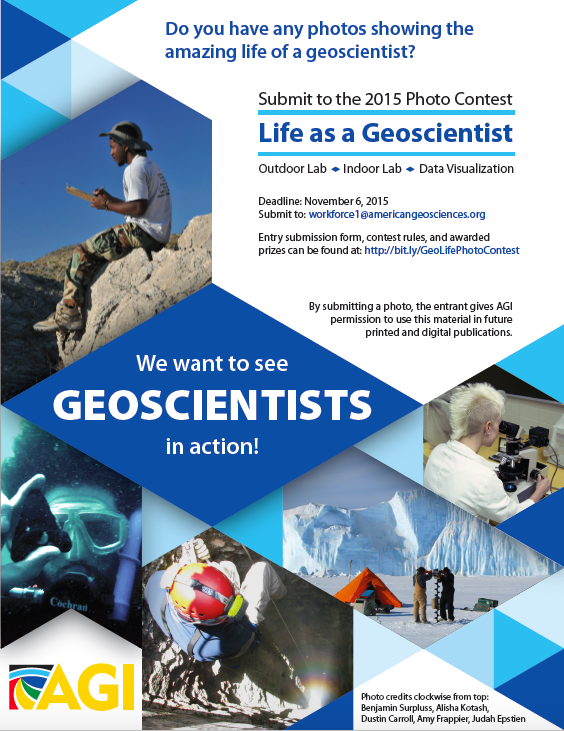 AGI wants our best photos showing what geoscience work and research looks like and why we love being a geoscientist. Submitting epic photos allows participants the opportunity to win prizes! A high-resolution flyer (same as the one shown below) can be downloaded from here.